Each week, an update is brought to the Player of the Year classification of the Global Poker Index. Hardly one week at the top of the classification, Mike Watson has seen his place of honor taken back by Paul Volpe. The latter gains a place and is at the top of the GPI Player of the Year after his performance at the poker tournament World Poker Tour Seminole Hard Rock Showdown. 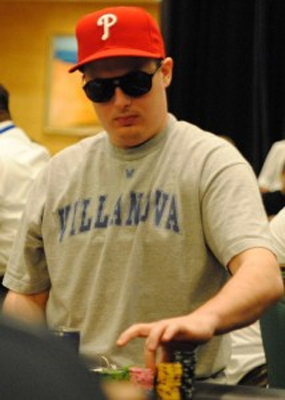 Having finished 27th in the Main Event and 3rd in the High Roller, Paul Volpe pocketed $ 16,558 and $ 63,187. We also find in the top 10 ranking, just behind Paul Volpe and Mike Watson, players like Daniel Shak, Micah Raskin, Ole Schemion, Christian Harder, Philipp Gruissem, Ana Marquez, Scott Seiver and Yury Gulyy. Micah Raskin was the revelation of this week by winning eight places to climb on the 4th position after winning the Berlin Cup in the High Roller. This victory succeeds that of the $ 5,000 Side Event of the Aussie Millions, earlier this year. These two victories allowed him to pocket $ 138,119 and $ 79,177. The title of the best progress of the week comes back to Kevin "1SickDisease" Eyster. Having won the Main Events of the Full Tilt Poker Online Poker Series (FTPOPS) and those of the WPT Seminole Hard Rock Showdown, Kevin Eyster gained 562 places at the poker ranking of the GPI Player of the Year. Faraz Jaka also registered an excellent performance by winning 209 places following his 9th place in the Main Event of the WPT Seminole Hard Rock Showdown which brought him $ 38,213.